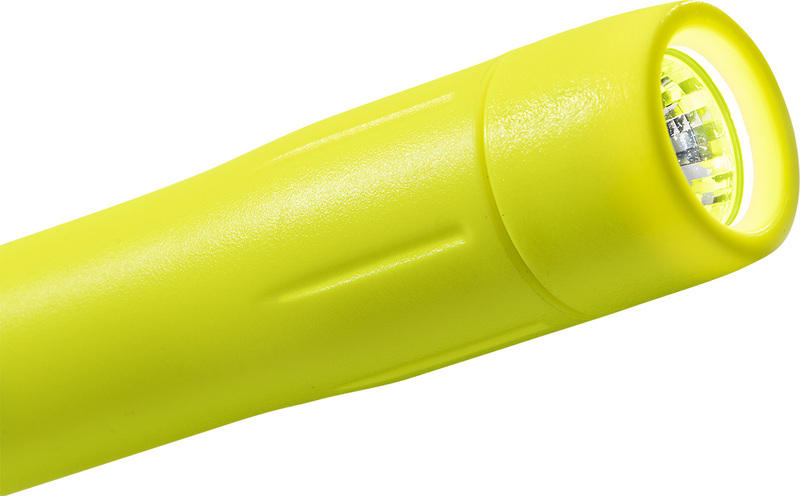 Stay trim and powerful in the danger zone. 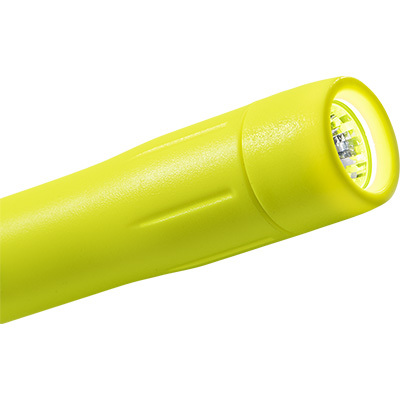 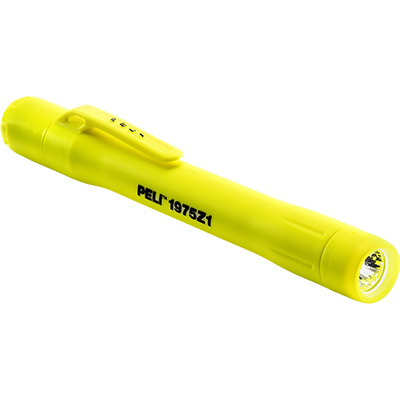 With ATEX Zone 1 (Category 2) certification, 94 blinding bright lumens, a run time of 8.25 hours, and a true penlight size and shape, the Peli™ 1975Z1 torch is the slimmest and brightest safety approved penlight. 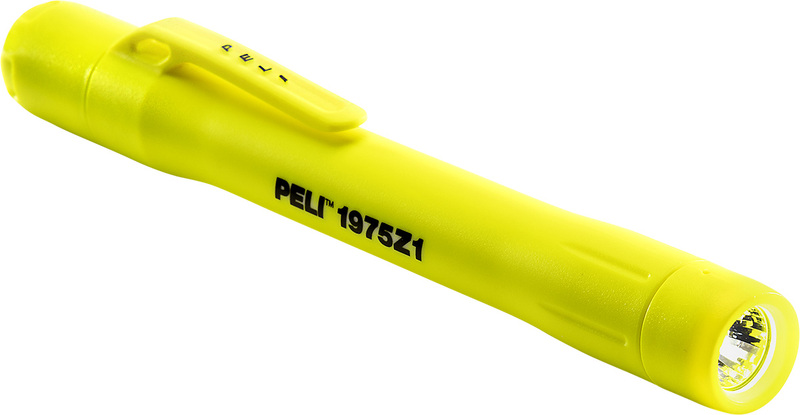 Engineered with an aluminum core and ABS overmoulded polymer, the Peli™ 1975Z1 penlight can survive tough work environments, yet is slim enough to snap into the available helmet mount or hold with your teeth. 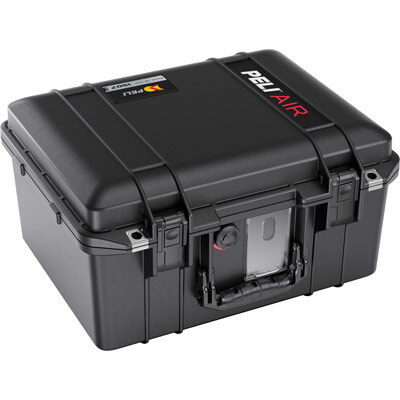 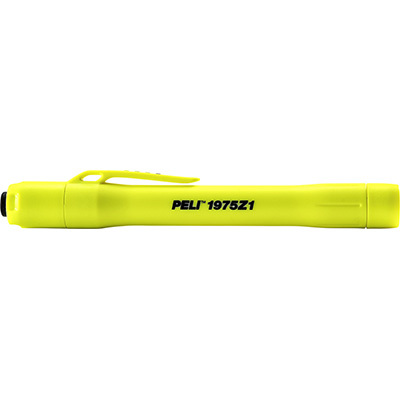 The 1975Z1 activates with a click of the tail switch or light pressure for momentary use. 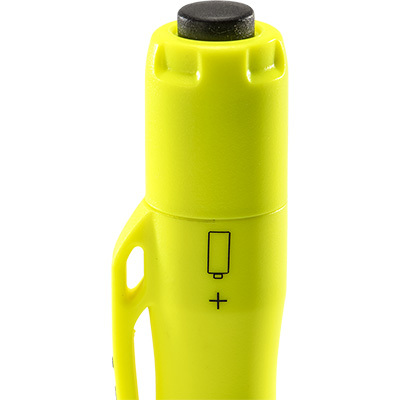 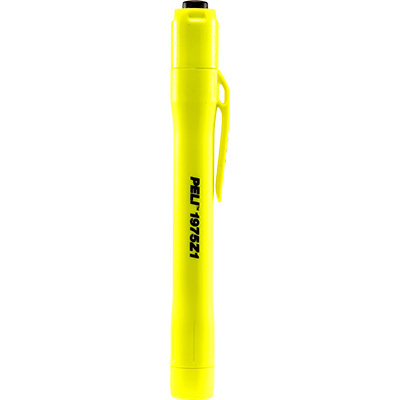 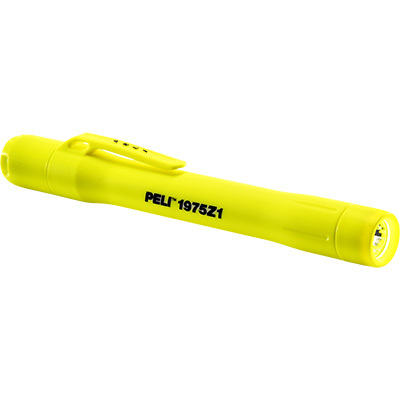 The Peli™ 1975Z1 penlight: Make danger your pen pal.